Home Opinions	Are horoscopes helpful or hogwash? I’m an avid believer in astrology. I am a proud Libra, and I would like to think horoscopes are not as ridiculous as some claim they are. I am not fully versed in the planetary alignment that astrology is based on, but I do believe a person’s star sign can explain their behaviour. Certain traits can easily be spotted, if you pay close enough attention. A Libra is a natural born leader, with an affinity for balance and an uncontrollable need to please people. According to Astro, a website that describes astrological signs, an Aries is dramatic, emotional, assertive, impulsive and, most importantly, kind-hearted. A Virgo is democratic—some might say a control freak, but that is just part of their love for order and organization. Geminis are as secretive as they are blunt. The list goes on. If you were to unknowingly read a horoscope that was not yours and apply it to your life, only to discover it was not intended for you, this might reinforce your belief that horoscopes are nonsense. However, in an age when we are taught to tolerate beliefs and religions based on books that may as well be fictional, I don’t understand why astrology is considered hogwash by some people. In some ways, astrology is similar to religion, in the sense that it is not 100 per cent accurate yet millions of people believe in it. Astrology is a peaceful form of spirituality, exploring human behaviour and psyche. Some might even draw parallels to psychology—after all, psychology’s main purpose is to understand the complexity of human beings and the reasons for their actions. Astrology attempts to answer such notions as well. I understand why this could be deemed pathetic or ridiculous. I can almost hear the skepticism: “How the hell can you understand why I act the way I do because Mercury, ruled by Mars on the left of Jupiter, says so?” I agree that a person’s sign does not always explain their motives or behaviour. Yet, if you’re a believer in astrology like me, general descriptions might make you wary of certain signs, such as blunt Capricorns or intense Scorpios. I normally don’t like to generalize, but based on subjective experiences with these signs, these two are oftentimes rough around the edges and hard to handle. Star signs do explain to me why a person might act the way they do, and how one should be aware of certain reactions. Many types of science are based on facts and observations of the world around us. But I believe these sciences are also based on interpretations of the world around us. Whether it’s mathematics, astronomy or physics, I believe such theories would not be born without thorough interpretations of the world and beyond. So why shouldn’t astrological reasoning be taken as seriously as scientific reasoning? 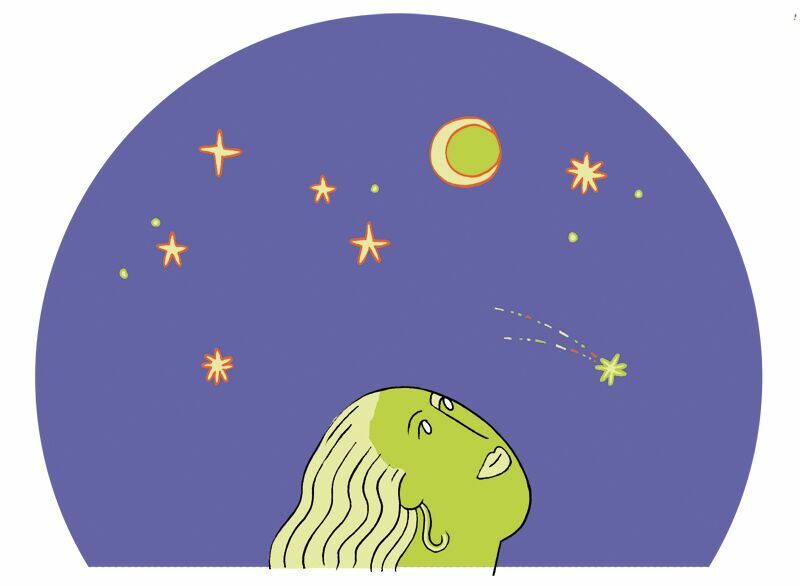 Astrology has been dubbed a “pseudoscience,” according to The New York Times, because it’s not as detailed or factual as other scientific fields. I believe certain things in life cannot be completely explained through science and factual evidence. Some things are beyond the socially constructed definition of reasoning. The belief in astrology, and its depiction of a person’s personality, might seem far-fetched with no theoretical or scientific framework. But the same could be said about most religions. On the brightside, at least astrology never started wars! Just don’t leave an Aries and a Gemini alone together.